Our friends at Elliott Wave International have just announced the beginning of their popular FreeWeek event, where they throw open the doors for you to test-drive some of their most popular premium services -- at ZERO cost to you. You can access all the charts, analysis, videos and forecasts from EWI's trader-focused U.S Intraday Stocks Specialty Service right now through noon Eastern time Thursday, June 21. This service is valued at $199/month, but you can get it free for one week only! There's no question that volatility has consumed the market. The Dow lost all of its 2012 gains in May, only to bounce back and kickoff June with the best week of 2012. EWI's U.S. Intraday Stocks Specialty Service is designed to help you identify and act on opportunities in fast moving market conditions just like this. During FreeWeek you'll enjoy the subscriber experience and get 20+ intensive updates per trading session with unique analysis and forecasts for opportunities in the S&P 500, DJIA and NASDAQ. 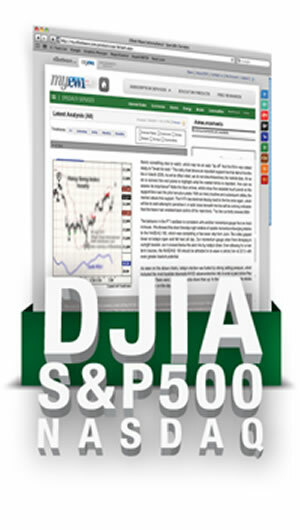 Stay ahead of the major moves in the U.S. stock market indexes during FreeWeek! Learn more and get instant -- and FREE -- access to EWI's FreeWeek of U.S Intraday stock market analysis and forecasts now -- before the opportunity ends for good. P.S. Read this immediately, before stocks drop another 10%. Investors should read it carefully at least three times before even thinking about touching their portfolios. Download the report now -- it's free only until June 14.